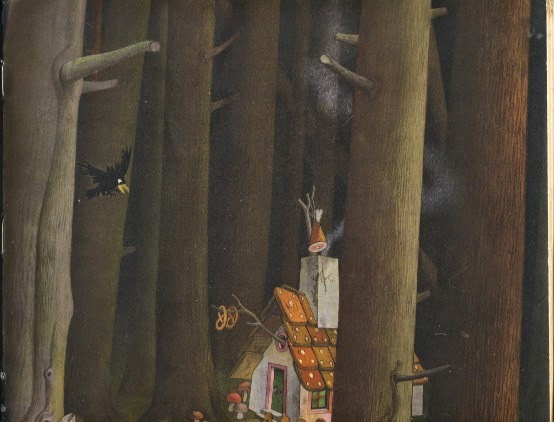 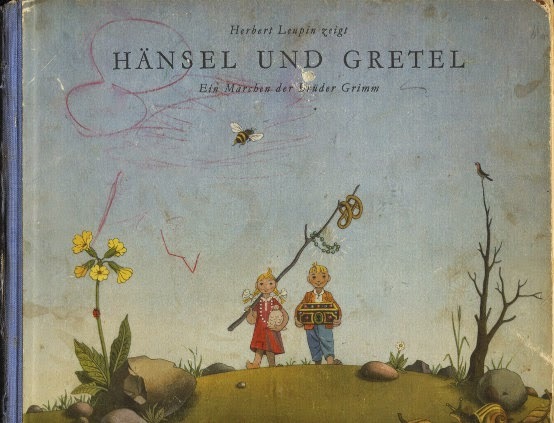 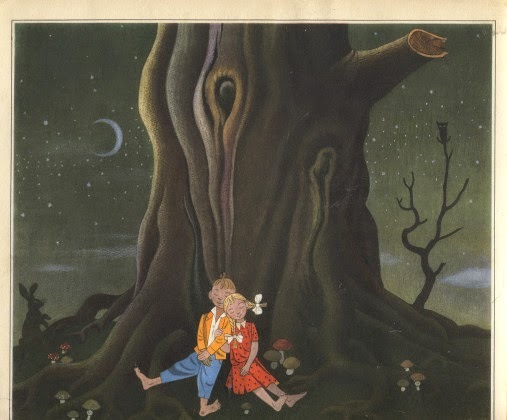 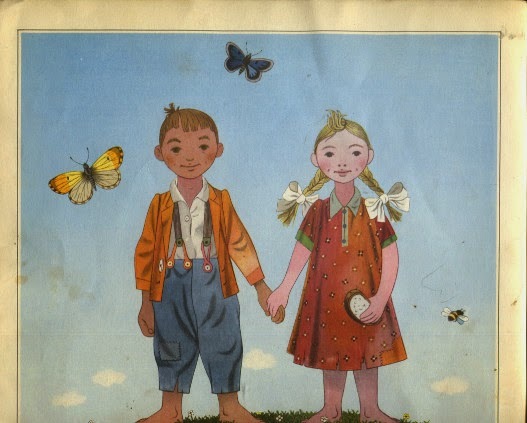 I adore this unusual German edition of Hansel and Gretel published in 1944 by Globi-Verlag and illustrated by Herbert Leupin. 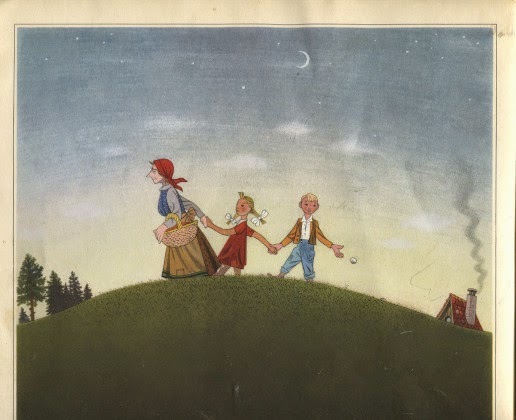 As you can see, it's been well-loved. 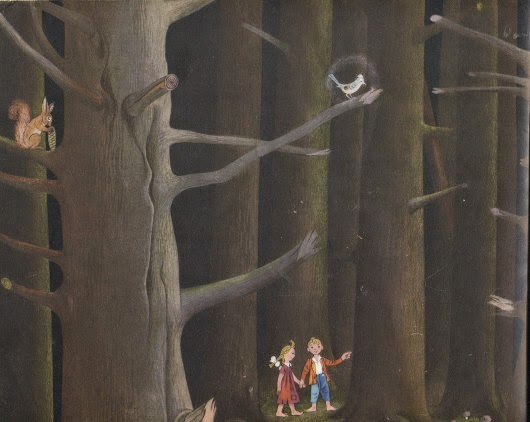 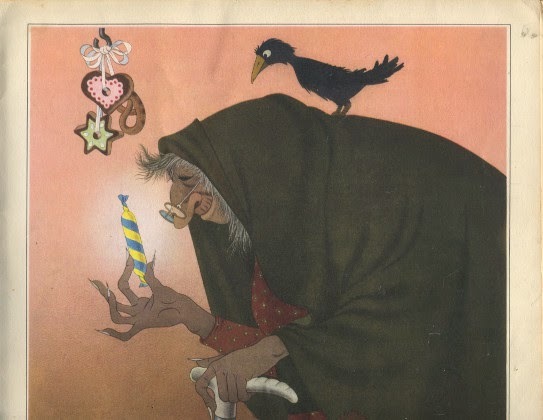 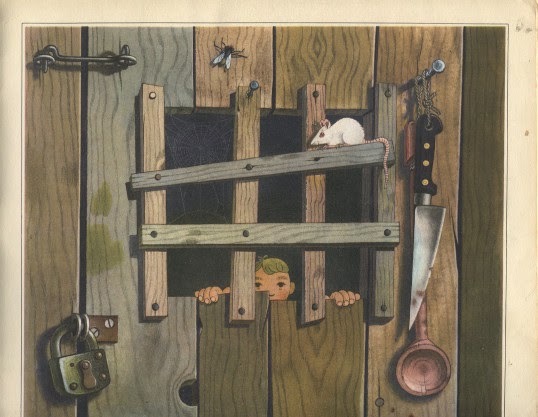 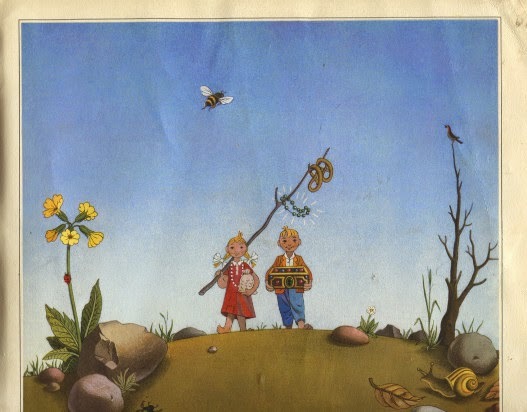 I won't transcribe the lengthy German text, but I'll share the stunning illustrations.